There’s been plenty of talk on how kids should train with each other and at what point are they mentally ready to actually submission grapple. 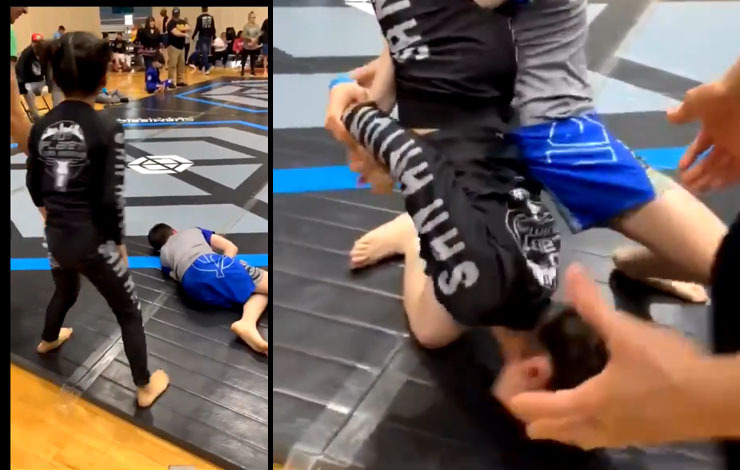 Firas Zahabi famously encourages his sons to wrestle but won’t let them apply submissions. Of course all of twitter went wild considering how the teen handled her business, checked her buns for signs of hair out of place and left her male opponent crying.